Angus T. Jones, left, in an episode of "Two and a Half Men." Hollywood, California (CNN) -In the introduction to the TV sitcom "Two and a Half Men," actor Angus T. Jones morphs from boy to teen before our eyes. Now we're watching the actor venture into adulthood and the complicated moral questions that come with it. 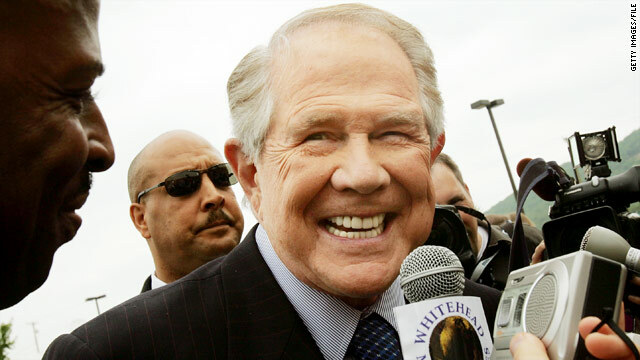 This week in posted Internet videos, Jones announced his ethical and religious awakening by condemning as "filth" the CBS show that made him rich and famous. Jones isn't alone in facing his crisis of conscience. His experience, though dramatic, is universal in how many job holders struggle to reconcile work and spiritual values, experts say. "At some level, all of us, probably not publicly, ask the hard question that he's asking," said David Miller, director of Princeton University's Faith & Work Initiative. This month marks the 10th anniversary of the best-selling hardback book in American history: Rick Warren's "The Purpose Driven Life." We reached out to scholars, religion experts and Warren's wife, Kay, to ask about the book's impact after a decade. Kay Warren is an author, speaker and co-founder of Saddleback Church. I knew when I was reading the unfinished manuscript of “The Purpose Driven Life” that I was holding a treasure in my hands, but I was clueless as to how deeply the book would strike a nerve in the souls of millions of people around the globe. 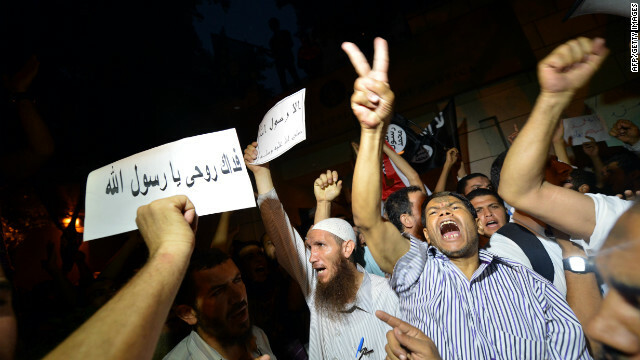 Protesters rallying against the offensive online film "Innocence of Muslims" stood outside of the U.S. Embassy in Cairo, Egypt and scaled its walls a day after the film's September release. Seven Coptic Egyptians living abroad were sentenced to death Wednesday by a court in Cairo for their connection to an inflammatory anti-Islam film, the prosecutor's office said. The suspects are accused of being involved with the production of the film in California, said Adel Al Saeed, official spokesman for the prosecutor's office. Since the Egyptian citizens were tried in absentia, the sentence would be applied only if they returned to Egypt. The Alabama-based evangelist Christopher Hudson has posted online videos promoting his Seventh-day Adventist faith for years, but none generated the response of the one he posted a few days ago, featuring “Two and a Half Men” actor Angus T. Jones. The video shows Jones, the CBS sitcom’s “half man,” describing the show he has appeared in for nearly a decade as “filth” and discouraging viewers from tuning in – which has attracted a crush of media attention. 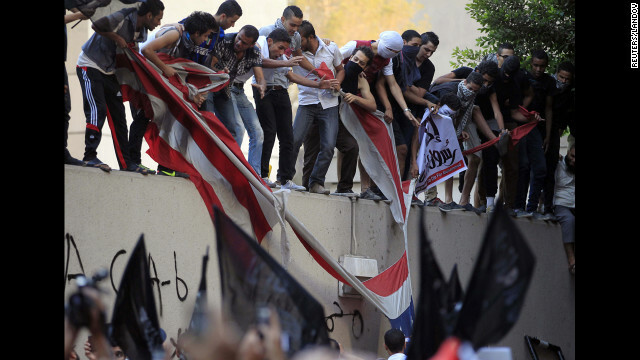 Protesters destroyed an American flag pulled down from the U.S. Embassy in Cairo, Egypt while protesting the offensive online film "Innocence of Muslims" in September. 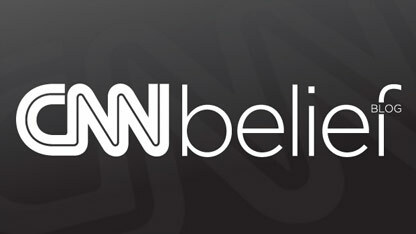 Cairo (CNN) - Seven Coptic Egyptians living abroad were sentenced to death Wednesday by a court in Cairo for their connection to an inflammatory anti-Islam film, the prosecutor's office said. The suspects are accused of being involved with the production of the film in California, said Adel Al Saeed, official spokesman for the prosecutor's office. Since the Egyptian citizens were tried in absentia, the sentence would be applied only if they returned to Egypt.